I firmly believe YouTube is a great way to practice listening skills. You can search videos that correspond with your hobbies and interests. If you like cooking and you're a struggling learner of English, you should definitely connect those two things and watch some cookery vidoes and, who knows, maybe even use them as recipes! If you like music, watch videos with lyrics on YT! Cars? New technology? TY shows? Nature? Animals? History? no problem, just find it on YouTube and watch it in English! You can find anything you like, even cartoons for your kids. Watching is far easier for a learner than listening since when you watch not only your hearing is engaged, but also your sight! Use it! I really regret that on our tv we can't get subtitled films and programmes. A few years ago I met some Norwegians and Finns. I was amazed at their level of communicativeness, especially taking into account the fact that they didn't use to learn a lot of English at school. The number of hours per week was fairly comparable to the number Polish kids get at our schools. What the heck?! In scandinavian countries television broadcasts everything subtitled only, never dubbed, i.e. you watch everything in the original language version, you can only read subtitles. Result? Almost everyone speaks English or, at least understands a lot. When I think of my childhood, which was the ending of 80's and the beginning of 90's, I remember I watched a lot of TV since it was possible to watch satellite television. I could watch almost everything on Cartoon Network or MTV which were broadcast completely in English. Later, when I was a teenager and started being interested in music, I passionately studied lyrics of songs until I learned them by heart. Till today I remember some of those, and the best part is that I remember all expressions, not individual words. First watch the episode - it's about 10 min long, don't look at the script underneath yet. Rewind if you didn't get something right, stop to check words in a dictionary (ling.pl, diki), repeat. POOH: Oh! Perhaps I should bounce on my head where it’s softer! TIGGER: Oh! That’s ok, Pooh boy. Oh Boy! I’ve been waiting for this in a just right light to bounce a treetop like that one. You’ve got a good view, Pooh? POOH: Yes, Tigger. A very bright one. Hey! Who swiped the sun??? POOH: Could you bounce again? I must’ve missed it the first time. TIGGER: Well, you didn’t miss anything Pooh boy. I didn’t bounce. Wanna kind of be tough that cute little cloud cast a gigantical shadow. Shhhh! Go away! I’m bouncing here! (…) Go away! And don’t show your fluffy face around here again! If I'd showed that cloud a finger three, I could’ve taken them. POOH: Oh! Maybe it’s best you didn’t. Let’s go Tigger. Perhaps today is not a good day for bouncing! I think it’s a good day for running. TIGGER: Nonsense, Pooh! This day was made for bouncing! Hey! Who turned off the sky!? Didn’t I tell you to get lost? The sky is not big enough for both of us. See? It’s a scared cloud! POOH: Oh! Don’t cry little cloud! Tigger didn’t mean it! TIGGER: Hey! Knock it off! Go to a parade you can rain on! Why am I the only one to get drenched by this cloud??? TIGGER: Well I don’t like wet clouds. RABBIT: Oh my! Oh my! No cloud in the sky! Except the one over Tigger’s head! TIGGER: This cloud got really attached to me! Could you maybe please do something bunny boy? Pleaseeeee! TIGGER: Yeah, all day too. I think it wants to be a storm when it grows up. Maybe I should just pose in the middle of your garden, be a fountain or something! RABBIT: Why? That’s it! Tigger! Stand over my tomatoes! They’re a little dry. TIGGER: I feel like a walking watering can. 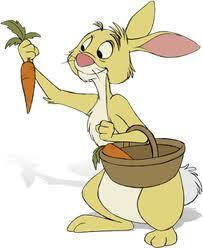 RABBIT: And the seedlings need watering, and when you’re done, perhaps you could take a stroll along my cabbage patch. TIGGER: I’m glad this cloud is making somebody’s happy. Too bad it has to be Rabbit! RABBIT: Well done Tigger! Come tomorrow! We’ll start on the back forty. 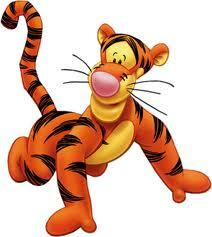 TIGGER: Rain, rain go away and come again on some other guy! POOH: What a very big apple! And since this isn’t an apple tree, I bet it’s a cleverly disguised beehive! Oh bees! That’s very nice ‘apple’ you have! And it’s probably just filled with honey! How thoughtful! It’s trying to fall of the tree for me! TIGGER (IN THE APPLE): Shhh! Pooh! It’s me, Tigger! I’m hiding from that cloud! TIGGER: Sorry, Pooh. Better keep moving. Cloud’ll get suspicious if it sees you talking to an apple. POOH: If a certain cloud is listening, I was just chatting with myself and not an apple or a… Tigger. TIGGER: One cloud-proofed house! Ehh.. Home dry home! Men! The lifeboats! We’re going down! When’s this cloud covered kind of lift. POOH: Oh! Look! It’s Tigger with his cloud friend! PIGLET: Hello Tiger, nice day, isn’t it? TIGGER: Yeah, if you’re a duckling. I’ve gotta get my head out of this cloud! I’ve come up with a plan, but I need your help. PIGLET: I’m not so sure about this Pooh! POOH: Oh! It isn’t so bad! Except for the bouncing part! Look, maybe Tiggers just have more spring in their springs. PIGLET: Oh dear! It’s an awfully fast cloud! Coming awfully fast! TIGGER: Got ya! You big dripper! PIGLET: Tigger! Now that you’ve got it, where do you plan to take it? He’ll never find us here! Lucky guess! PIGLET: What do we do now? TIGGER: Head for the logs! POOH: I think with three tiggers the cloud is three times upset! TIGGER: Right now, being a tigger is three times as upsetting! This cloud has one brain! 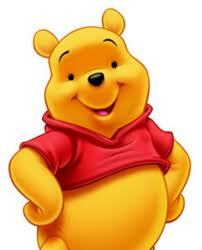 POOH: It does seem to have a mind of it’s own. Tigger, have you ever tried talking to it? TIGGER: Buddy bear! It’s a cloud! But just in case, what would you say to a cloud, Pooh boy? POOH: Well, I might apologise. TIGGER: Apologise??? He started it by blocking the sun for no good reason! POOH: But the cloud was just doing what clouds do. 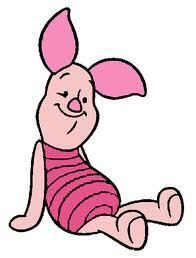 PIGLET: It seems to do a lot of thundering and lightning, too. TIGGER: You mean all this rain could be over a little thing like that! POOH: You never know what’s going to upset a cloud! They are very sensitive! TIGGER: You might have a point. Out of most of bears. Hmm, maybe it ran out of water. Excuse me, little white fluffy cloud, could you, maybe stop raining! Sorry, I didn’t mean to shout! It’s just I have a couple of things to say about earlier today. I didn’t mean to hurt your feelings, but I was trying to jump over this tree, see? And you got in the way, hey! Well, I’m sorry for calling you names and throwing rocks and I promise never to insult any cloud ever again! Cross my stripes! Does this mean you forgive me? Uhhh! It’s softer than fluff! I could get used to this! Oh! You’ve got a great view from here! Hey! My bouncing tree! Thanks cloud pal! Told you I could bounce that tree! TIGGER: I’ll look you up to next time it’s storming! All in all, not a bad guy for a cloud. I guess he’s got other things to do, other people to rain on. POOH: And you’ve got other trees to bounce. TIGGER: Right buddy bear and from the cloud I saw this really, really tall one! i'll post during the week, so BE WATCHFUL! to --> If I'd showed that cloud a finger three, I could’ve taken them. RABBIT: Well done Tigger! Come tomorrow! to --> We’ll start on the back forty. Men! The lifeboats! We’re going down! to --> When’s this cloud covered kind of lift. TIGGER: You might have a point. to -->Out of most of bears. i could've taken them to mogłem ją mieć/ dorwać itp. dobra robota Tigger! Przyjdź jutro! Zaczniemy on the back fourty - mysle że chodzi o grządkę, w końcu królik ma duży ogród i może chodzi o to że zaczną od czterdziestego z tyłu ? Ja się uczyłem wielu piosenek dzięki YouTube. Też polecam jego używanie.